Readalongs is a new feature here at Literary Lindsey. As you probably know, I have two littles (8 and 3, respectively). It's fun to read beloved childhood classics with the kids in your life. But it can be even more fun is to pair books for kids and adults that have the same kind of stories. So, welcome to volume 1 of Readalongs! The Map to Everywhere is recommended for children in grades 4-6, but my 2nd grader had no trouble with it. This story features Fin and Marrill, who team up to find a pirate map. They both want to use the map to get back to their families. My son said, "I think that both books have a lot of magic in them. They are just unbelievable. And the main characters (named Fin and Marrill) are. just. CRAZY AWESOME! Don't let this ship set sail without you!" 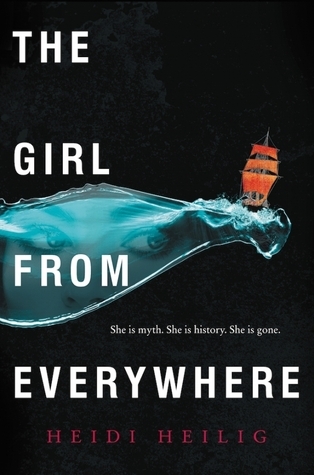 Grownups can find adventure traveling through time and space on a pirate ship too with The Girl From Everywhere. Nix has spent a lifetime traveling with her father. If he has a map of a place, he can travel there regardless of the year or location of the map. While she loves their life of travel, she knows that there is danger around every corner. The greatest danger may come from her own father, who is determined to find a map of 1868 Honolulu. He wants to be save his wife's life, but Nix wonders if that will mean she is never born. This book has a lot of strengths. Nix is a great protagonist and she responds with all the fire and determination you want to see in an adventure. Ms. Heilig also does a great job of creating a sense of place; I would read all day about her descriptions of Hawaii, New York City, and the other places the crew visits. The story does feel a bit long in places, though. There are some really fascinating secondary characters that I would have liked to spend more time with, specifically the rest of the ship's crew. If you are a reader who loves journeying to new and exciting places in a book and you don't mind another love triangle in your YA novel, this would be a great book for you! The best news about these two books? 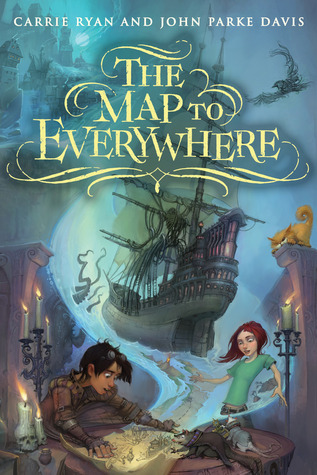 The Map to Everywhere already has a sequel, and another Girl From Everywhere book should be out next year! Passengers by Alexandra Bracken is also a YA pirate time travel thing. Well, maybe they are not quite pirates. I can't remember for sure. What a fun idea! A pair up for children with the grownups.